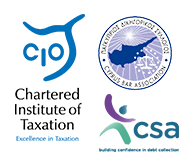 We are well versed with all migration matters in Cyprus including residence permits, working permits and Citizenship’s. Whether for yourself or your expatriate staff in Cyprus, we will eliminate the hassle of paperwork with all immigration authorities, and ensure a successful application and relocation to Cyprus. We have both the legal expertise and the practical experience to process your applications smoothly and we remain well connected to ensure you do not experience any unpleasant surprises.